Nipsey Hussle was caught between enormous success and love for his neighborhood, like many other rappers, and that ultimately cost him his life -- at least, in Suge Knight's eyes. 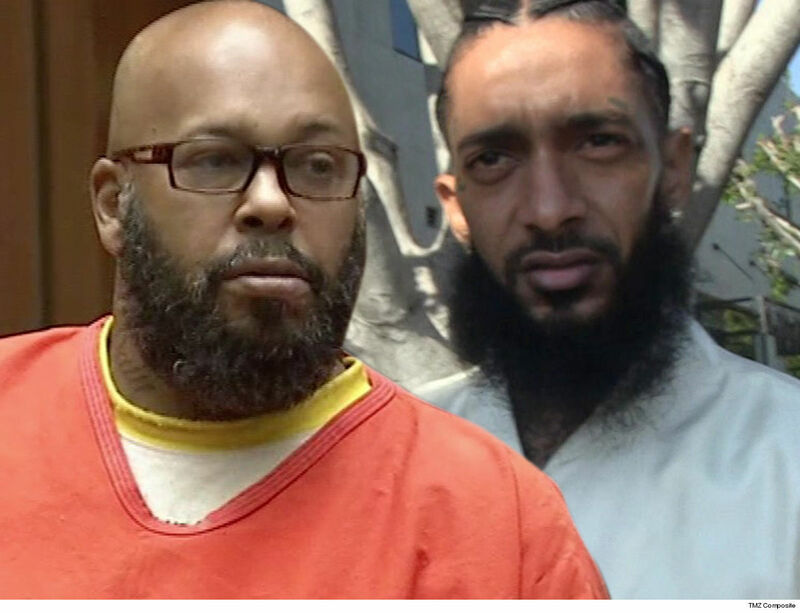 Knight tells TMZ ... he fully understands the situation Nipsey was in, "A lot of artists like Nipsey have the same problem that I had. We are too loyal to our neighborhood." He says, even though you have enough money to move, you want to stay on the block because "when you go around Hollywood it's all watered down." The former Death Row Records mogul -- who's still sitting in L.A. County Jail awaiting trial for murder -- says he loved to go back to his hood to "get chili cheese fries and strawberries and talk to my lil homies." However, he adds, when you do that you need those homies to "help you survive." Knight's insinuation is clear -- and controversial -- that the people closest to Nipsey could have done more to keep him safe. As you know, Nip was murdered outside his Marathon Clothing store. Police believe Eric Holder pulled the trigger ... allegedly after feeling Nipsey had disrespected him by calling him a snitch. Theodora Richards - Keith's Daughter - Out of Rehab - Again! Surprise Surprise! Theodora Richards, the daughter of famed Rolling Stones guitarist Keith Richards, has reportedly exited her second stint in rehab. Only 17 more to go to get to her dad's 19th Nervous Breakdown! Rodger Bumpass (not dumbass - although he is!) the actor who voices Squidward Tentacles on "SpongeBob SquarePants" won't be spending any time in a pineapple under the sea (that is jail) thanks to a killer plea deal. On January 5, 2015 New Orleans Saints linebacker Junior Galette was arrested in Kenner, Louisiana on allegations of domestic violence. Football players and domestic violence: wash, rinse, repeat! With the words "Environmental Activist" in the title, I think it's obvious that we'd be talking about someone getting arrested. Olympian Nick Goepper Charged ... With Vandalism? From winning a bronze medal for skiing at the winter Olympics this past February to causing $8,000 worth of property damage. This is the life of Nick Goepper.